The YakGear StandNCast is a great addition for your kayak, canoe or skiff to assist you while standing and casting for your favorite catch. 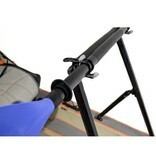 Constructed out of anodized aluminum, the StandNCast will fit any kayak or canoe with a top width of 22 inches to 37 inches and can be deck mounted or track mounted. Keeping in mind of where to store your paddle while standing, the StandNCast includes two paddle holders across the top leaning area. As always, this complete kit comes with all stainless steel installation hardware, installation instructions, and rigging tips from YakGear. Waterproof silicone recommended but not included. 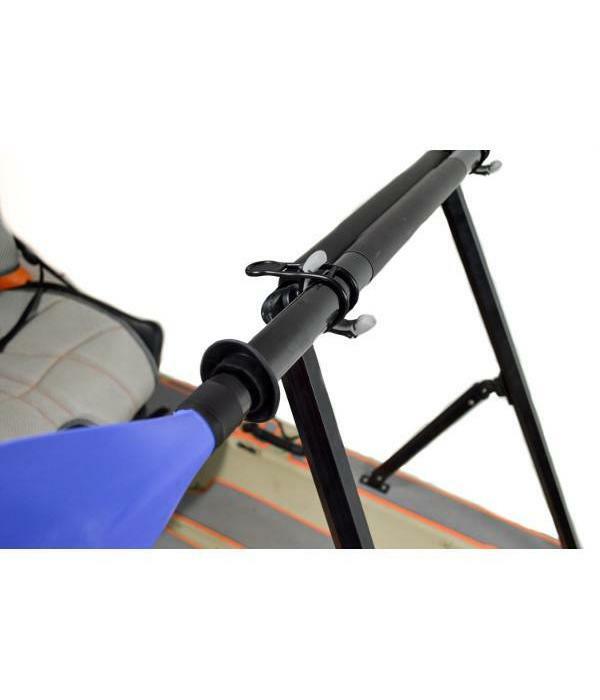 Adding accessories is easy using the Railblaza RailMount 32-41 as your base of choice and then adding an additional rod holder, cup holder or push pole holder. Railblaza RailMount 32-41 and additional accessories are not included. Installation instructions and hardware are included.